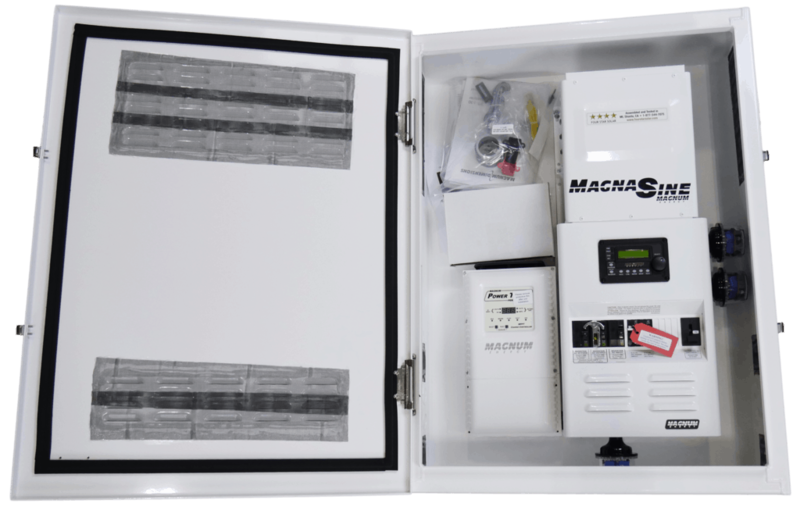 Four Star Solar's pre-wired and tested Mini Magnum MS4448PAE Power Center comes equipped with a Magnum Energy MS4448PAE 120/240 sinewave inverter, a Mini Magnum Panel pre-assembled with necessary components (See below for a complete list). This version comes in a Magnum MP-ODE outdoor-rated enclosure and can be installed both indoors or outdoors. The enclosure is designed to protect your equipment against rain, sleet, snow and other elements while providing adequate airflow for the inverter. Since this system has already been assembled and tested, you will significantly save on time and/or labor costs, and the cost of packaged components is also significantly lower. 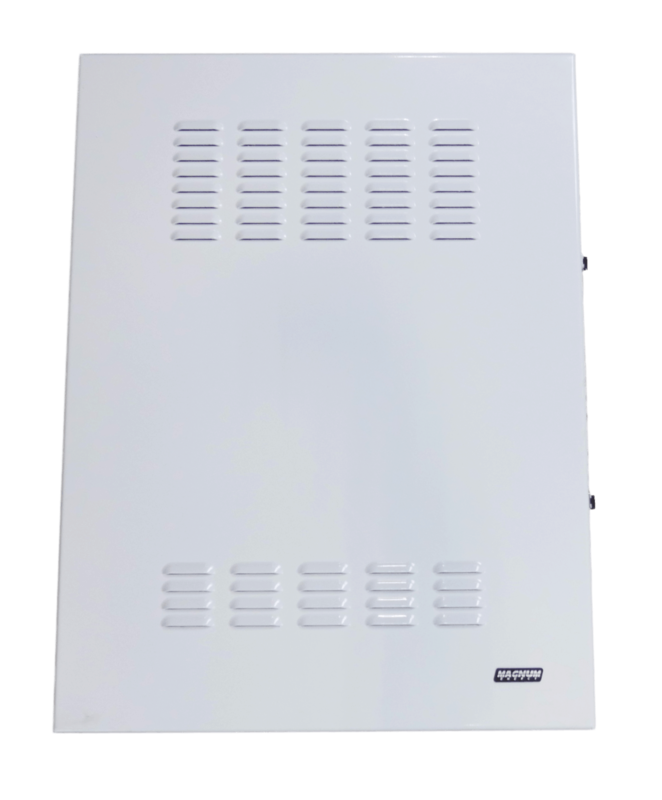 Also, the MS Series inverters that are installed with a Magnum Energy MP or MMP panel carry a five-year warranty, rather than the standard three-year warranty. Feel free to click on the components below to learn more. You'll also be able to view individual retail pricing.